What do Dwayne “The Rock” Johnson, “The Mountain” from Game of Thrones, and Arnold Schwarzenegger (circa 1975) have in common? They all built brick-house bodies thanks to a little thing called weightlifting. But they also pursued it with the express purpose of maxing out their muscular potential. Bulking up isn’t easy, despite what some weightlifting myths might have you believe. It takes a lot more than squatting a barbell, bench pressing some dumbbells, or swinging a kettlebell a few times to sculpt a Mr. or Mrs. Olympia body. 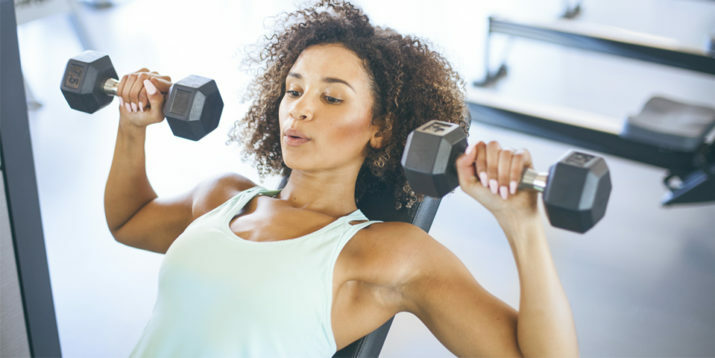 Still, the fear of bulking up simply by touching a weight keeps many people (especially women) from making strength training a mainstay of their fitness routine. Here’s a look at why this fear of bulking up shouldn’t deter anyone from weight training, and why the benefits of lifting weights outweigh any of the largely unfounded drawbacks. Why Do People Think Weightlifting Makes You Bulky? The weightlifting myth that suggests weight training makes you bulky is steeped in history. Magazines, movies, and the media in general have long hailed weightlifting as a big man’s game, the singular goal of which is getting swol. “I have a penchant for collecting vintage weightlifting magazines that date back to the 1930s, and the covers all feature big, brawny guys,” says K. Aleisha Fetters, M.S., C.S.C.S. in Chicago. Despite this one-sided portrayal of the effects of weightlifting, exercise experts, personal trainers, and coaches work tirelessly to boast the benefits of lifting weights as an efficient and effective method for getting in shape — regardless of whether that shape is big and muscular or slim and defined. 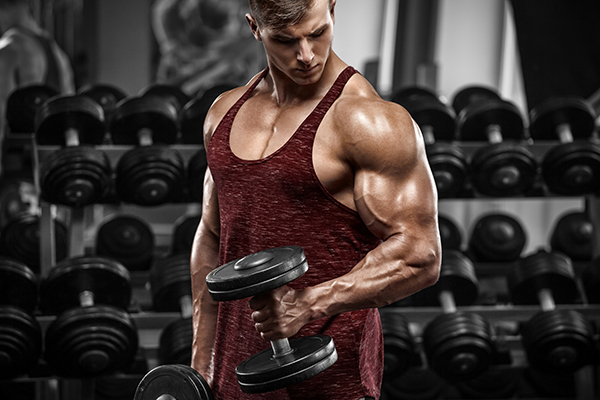 But because the meatier of the masses tend to spend a lot of time training in the weight room, people continue to associate pumping iron with bulk and brawn. …and that’s just to name a few. Because of the many factors that go into building muscle, women won’t just “accidentally” turn into linebackers if they lift heavy weights. In fact, most women can’t “bulk up” even if they wanted to. “It’s just not in their genetic cards,” says Thieme. For starters, women tend to have lower levels of muscle-building testosterone than men. Add to that the fact that women also tend to have less skeletal muscle mass, and it becomes clear that they just aren’t predisposed to build the same kind of mass as men. But that doesn’t mean that lifting weights is worthless for them. “Research shows that while most women can’t build as much muscle as most men, they can enjoy similar strength gains,” says Thieme. In short, they can enjoy all the benefits without the bulk. Still wary about weightlifting despite the busted bulk myth? Let’s squash some other misconceptions about strength training and dive into some of the great benefits of lifting weights. Myth 1: Calories burned lifting weights is less than cardio. Truth: You might burn more calories during an hour-long run than you will during a similarly long weightlifting workout, but your total caloric burn from the latter will be much higher. The reason is something called “excess post-exercise oxygen consumption,” or EPOC. So even if steady-state cardio and weight-training workouts are done at the same intensity, when you call quits on the cardio, your body typically stops burning calories soon afterward — typically within a few hours. But your calorie burn can remain elevated for more than 48 hours after you finish lifting weights. Truth: When people think about those who lift weights, they often think of stiff, inflexible bodybuilders. But here’s the thing: When a weightlifting program is done correctly, it can actually enhance mobility, not reduce it. Truth: “You don’t need a fully stocked gym to get started with weightlifting,” says Trevor Thieme, C.S.C.S. and Beachbody’s senior manager of fitness and nutrition content. “All you need are a few sets of dumbbells that challenge you, and about six square feet of floor space.” If you have a bench and/or a stability ball, all the better, but neither one is required. “With a few basic pieces of equipment and a smart weightlifting program, such as Body Beast or The Master’s Hammer and Chisel on Beachbody on Demand, you can lift weights and build strength and power in the comfort of your own home,” Thieme says. Truth: While weight machines might seem less intimidating than free weights, they’re less effective for building muscle. “And the reasons are that they tend to lock you into an unnatural movement pattern and they don’t always engage muscles the same way as equivalent free-weight exercises do,” says Thieme. Myth 5: To see the best results, men should lift heavy and women should lift light. Truth: Can you feel the imagery of the vintage weightlifting magazine covers creeping back in with this myth? “We haven’t progressed as far from this image as strength coaches such as myself wish we had,” Fetters says. Your decision to lift heavy or light should depend on your goals, fitness level, and training experience. If you’re a beginner to weightlifting, sticking to lighter weights (or not using weights at all) is probably your best option, as that will help you master proper form, which should always be a top priority. But if you’ve been around the weight rack a few times, you should focus on using heavy (i.e., challenging) weights, but also occasionally lift lighter ones. In short, if you want to maximize overall muscle growth, you shouldn’t just lift heavy — you have to do some light-weight/high-rep work as well.